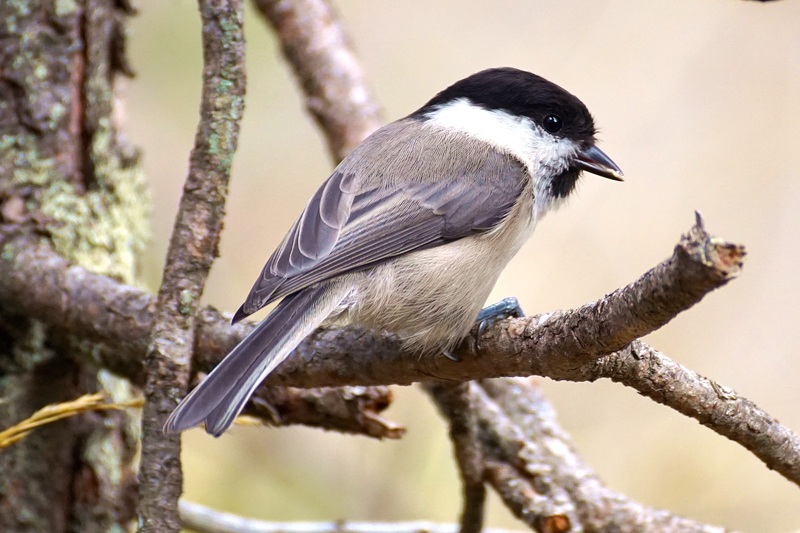 Have you ever wondered about the different species of birds that visit your backyard? I did today when I came home from a nice, sunny walk with my Millie (Yorkie), looked out the glass sliding doors, and happened to see an abundance of different species of birds hopping around in the trees and bushes, in the bird bath, and at the feeders. I couldn’t resist, so I decided to sit down for a few minutes to do a little backyard bird watching on the deck and make a checklist of them all and get a few photos. 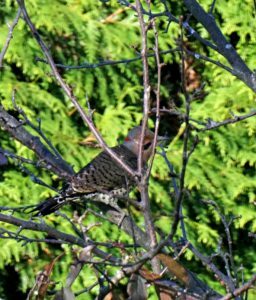 The Cedar Waxwing and the Northern Flicker were surprises as they come in periodically, mostly in the Fall and Winter. The White-throated Sparrow is a Fall/Winter bird that my husband and I just started hearing last weekend. 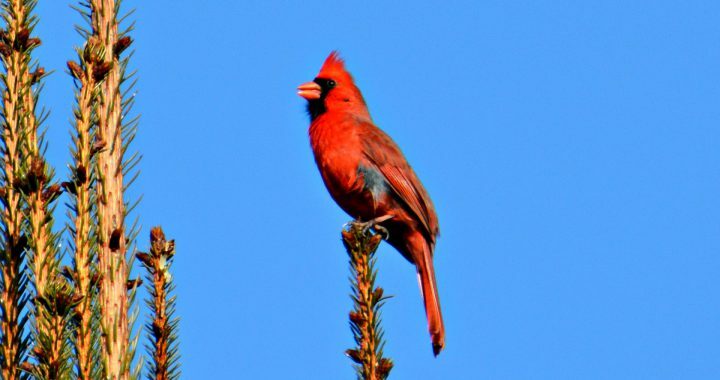 You can’t miss this bird’s call as it sings throughout the winter months. Soon there will be other winter visitors coming like the Dark-eyed Junco, Fox Sparrow, Red-breasted Nuthatch, American Tree Sparrow, and Pine-siskins to look forward to. I know this because we always prepare for their arrival by having the right wild bird food in the feeders and suet for them. 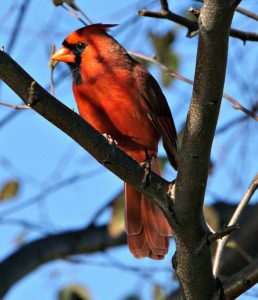 How Can You Get More Bird Backyard Birds? It is always good to have more than one feeding station as each will attract different birds. 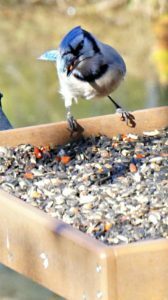 We use a platform feeder for the bigger birds and put a good supreme bird seed mix that contains black oil sunflower seed, nuts, fruit, safflower seed, and some millet. There is also a nyjer (thistle) feeder for the finches and pine siskins (chickadees, titmice, and cardinals come to it in extreme cold), suet feeders for all the birds, and a hanging feeder for the smaller birds that has supreme seed. This is so they have another place to go when the bigger birds kick them out of the platform feeder. Another thing that you can do is to ensure that there are places for the birds to go in extreme weather, such as shrubs and plants. I generally leave my summer/fall bushes and vines alone until spring as the birds like to retreat to them in bad weather and also to roost in them at night. Also, have a water source for the birds all year round. My heated bird bath is much appreciated by the birds even in bad weather as they come to it for drinking and for preening. I have my backyard set up to attract backyard birds using different feeders, birdbaths, and landscaping. This attracts many different species to my backyard as you can see, and it is located in a subdivision next to a pond. This was just in 15 minutes. I’m sure that if I sat there all day I would have added many more to my list. You too can get just as many if not more birds to your own backyard depending on your specific location and habitat. All you have to do is supply the food, drink, and cover for them. It’s that easy! If you would like to add anything for attracting more backyard birds I would greatly appreciate your input. Feel free to comment below.